I’ll be honest. I have never been a big fan of old-fashioned peanut brittle. When I was a kid, peanut brittle was a BIG tradition in our family, particularly around the holidays, but not something that I ever cared for. (Which I never would have wanted to admit to my Grandma – who usually made the brittle.) Do you know what I AM a big fan of? Softer Than Brittle! Softer Than Brittle is a unique, soft and flaky gourmet nut brittle hand-crafted from a 60-year-old family recipe. It is a “better-for-you-brittle” in that it contains no preservatives, cholesterol, dairy, or hydrogenated oil. It’s even vegan! Not only is Softer Than Brittle super delicious, soft and flakey, it also features a clean label with just 6 or 7 basic ingredients. Easy to understand – easy to know what you’re eating. This gourmet, nut snack is made in small batches in a copper kettle. I’m not quite sure what that kettle being made of copper adds to the process, but I have a feeling it is something good because the end result is so delicious. Softer Than Brittle is available in four varieties: Peanut, Almond, Cashew and Pecan. While I have tried and like them all, I really love the Almond flavor. It is SO yummy! 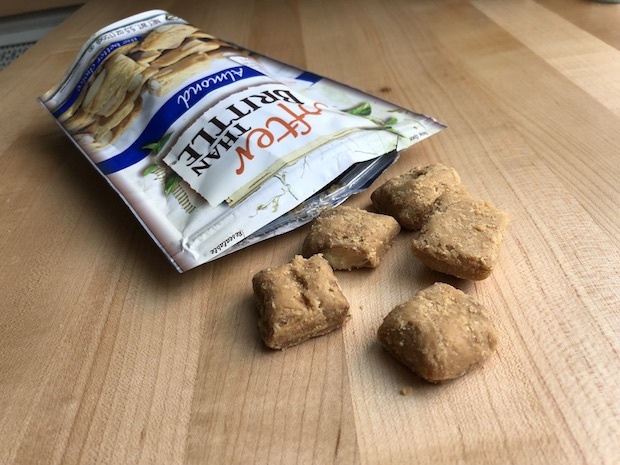 I have been enjoying Softer Than Brittle as an afternoon snack to tide me offer between lunch and dinner, but it could be used for so many other occasions including as an office treat, taking on road trips (the resealable pouches make it perfect for that), after school snacks and more. When will YOU eat Softer Than Brittle? 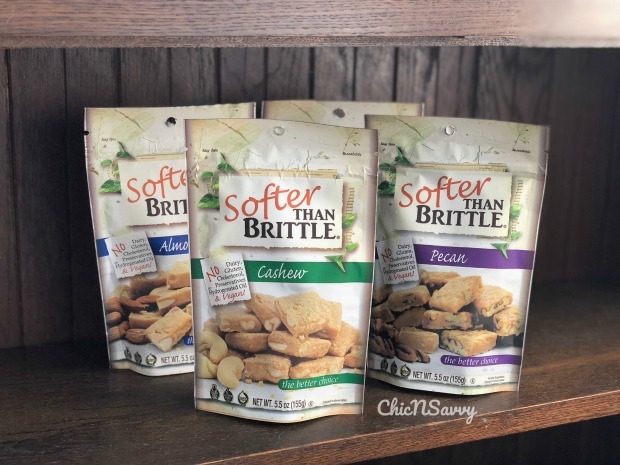 Reader Giveaway: One lucky Chic ‘n Savvy reader will win a prize pack of all 4 varieties of Softer Than Brittle: Peanut, Almond, Cashew and Pecan. 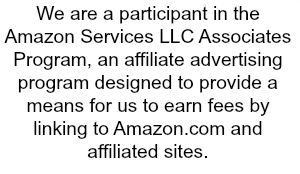 To enter, just complete the entry form below by 11:59pm ET on 4/16/18. Good luck! Cashew sounds the most interesting to me! This sounds like a good snack for unwinding after the kids have gone to bed. I want to try peanut first. I would eat it any time the spirit moves me! Ive tried all but want to try almond cant find it. I love this stuff and some of the pieces are really soft is so dang good melt in you’re mouth good. This stuff is addicting…can’t find it locally…love all the flavors I’ve had…would love to try the pecan…if you’ve not had it…you need to!! I would love to try the peanut brittle first. This brittle looks awesome. I would snack on Cashew while watching a movie. I would love to try the Almond. All the kinds sound delicious. This sounds delicious!! I would love to try them all. Cashew is my first choice. Thanks! They all sound scrumptious but I would go straight to the cashew first. I would eat it while watching a movie (quietly! – it’s ideal!). I would like to try the Almond flavor with my afternoon tea. I would love to try the Pecan first. I get a terrible case of the munchies every morning around 10:30 and I have been trying to pick healthier snacks for that time so I would eat these around then. I would start with pecans because I love those and I would open them immediately after getting this box. I have tried Pralines- I wonder how the pecan flavor variety would taste in comparison. As a Food Historian, I have special interest in this. I would love to try the Cashew first. Sounds delicious! I’d love to try the Pecan ones. I like that they are softer than brittle because at my advancing age your teeth are really important to your general overall health. I would love to try the Almond with a hot cup of tea. Thanks for the giveaway! I would love to try the Cashew because they’re one of my favorite nuts! It would be a great snack to have while watching TV in the evenings. Would like to try the cashew one first. I would share these with my fiance. I would like to try Softer Than Brittle’s Cashew flavor. I eat it as a snack in my my work lunch. I want to try the Pecan flavor first. I would have this for a snack. I want to try the almond flavor first. This would be the perfect mid day snack. I’d like to try Cashew. I’d eat it on movie night. The Cashew would be my first choice! I would like to try the pecan flavor first. I want to try the Cashew flavor first. I would take them for a snack at work. I’d try pecan first! They all sound good though. Would love to try the pecan brittle first will be great to eat while having movie night. Ooh, they all sound so good. I’d probably start with the peanut, and I bet they’d go great with coffee, while binge-watching Netflix! I would love to try the pecan brittle first and I would eat it as an after dinner treat. Pecan, while I’m enjoying watching a movie with my hubby! I need the pecan brittle please! Thank you for the great offer!! Would try the cashew, would eat while watching tv. Would love to try these! ??? Would eat this anytime the urge to snack hits me! Definitely want to try them! ??? I think the cashew variety would be the one I tried first. I would probably keep them in my desk at work. I would like to try the cashew flavor first. I want to try cashew first!! They all sound so good especially Pecan because that is my favorite nut. I would have the almond as an afternoon snack. I would love to try the Pecan! I would definitely love to try the cashew. I would eat it after school with my teen, I always use good, sweet treats as bait to get him to sit and have a chat at the table. As a true Texan, pecan must be the first thing I try. Honestly, I would try them once I opened my package because I couldn’t control myself. LOL. I would try cashew first. Mmm, cashew sounds delicious (as do the others too!) I would have it as a snack at work. The almond sounds great! Love almonds. I would love to try the almond flavor first, but they all sound amazing! I would like to try the almond kind. I would either try the Pecan or Almond flavor first. Would lov et try the peanut flavor! Cashew, for a bedtime snack. Pecan and for a snack in the evening. I definitely want to try the cashew brittle. I would try the peanut one and I’d eat it as a late night snack while Youtubing. I want to try almond! I want to try all!! I would love to try the almond. I would eat it with my coffee. I love cashews but pecan sounds very delicious.. I would like to try Pecan. I would try Cashew and I would try it as a snack at work. i want to try the pecan. I would like to try the Pecan ones. i would definitely try cashew first because it is my favorite nut. I’d try cashew first, anytime, anywhere! It really wouldn’t matter much, which I tried first, since I like all of those nuts, but for this purpose, I would pick the cashew. Great idea: brittle that doesn’t send you straight to the dentist! I would try the cashew first but would enjoy trying any of them! I would like to have the cashew. I would eat them right away. I would eat them as soon as I got them. I would like the pecan. I would try the Pecan first with a book. I would like to try the cashew. I love Cashews, so that would be my fave! I’d eat it whenever I want some more protein in a yummy snack! Thanks and God Bless! I think I would love to try the peanut flavor of Softer Than Brittle first and I would eat it for an afternoon snack. I’d have to try the Pecan as soon as I was able to get my hands on a bag ? I’d love to try the almond just relaxing at home. I’d love to try the peanut yummy? I would try the praline first. But seriously the teenagers would get to it first and wolf it down. I’d try cashew first. I’ve never had it. Cashew would be my flavor of choice! The Cashew flavor would be the one of my choosing! I would love to try the cashew first. It sounds so amazing. The Peanut sounds delish. I’m sure my husband will be a helpful taste tester. I would definitely try the almond first. I would try the Pecan first and eat it on my lunch break. I would try all the flavors! I would try the Pecan first but I’m a huge fan of Almonds so that would be a close second. Oh, and I would eat it as an afternoon snack at work. I would try the softer than brittle one during a movie. I’d have the Peanut first and I’d have it with my afternoon tea. Thanks for the giveaway. This looks yummy! I want to try the almond first. The cashew sounds very tasty. I would like to try that flavor. Would like to try the cashew first. Would eat it while I’m on the computer. 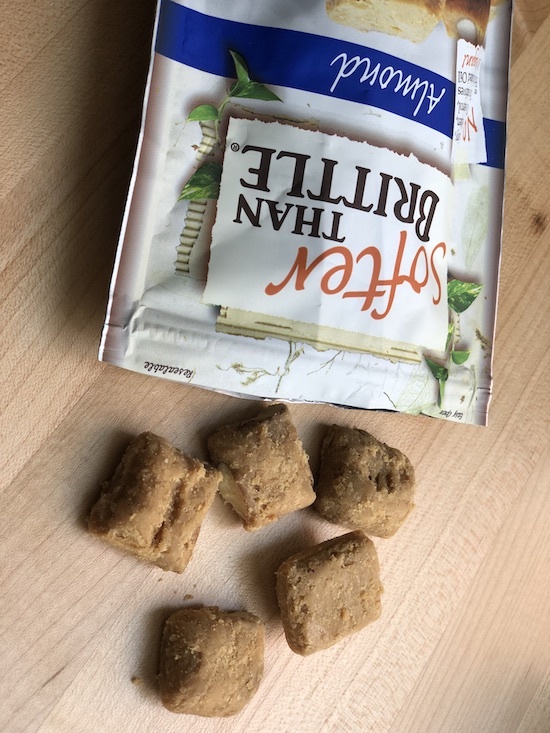 I have really wanted to try this brittle. It sounds so good especially the cashew. I’d like to try the cashew one. Sounds interesting! I would like to try the Cashew first. I would eat it as a snack or when I’m when I’m watching a movie with my husband. I would love to try the cashew and it would make a great snack. I would want to try cashew as my middday snack! I would love to try the pecan brittle! Sounds so yummy! All the flavors sound delicious, but I’d like to try the cashew first. This. with a cup of tea, would be a good snack to munch on while watching a movie. OMGosh… do these sound wonderful, especiallt the cashew. This is be a great snack or to put in lunches for school. I would definitely go for the Almond one first! I’d like to try almond first. I would try Cashew, yum, yum. I would like to try the cashew flavored one and I would eat it while watching the Big Bang Theory on TV. I would love to try pecan first! This line looks so intriguing and delicious! I would like to try the peanut variety. It would be perfect for work. Would want to try the cashew while watching late night tv. I’d like to try the Pecan one first while relaxing anytime as a snack. I would try the cashew first. I would eat these at work as a treat for getting each project done. Or maybe even a step of a project done. I love pecans so I would love to try that one first. I think this would make a great snack after work. I’d have to give peanut a try…and have it for a snack. I would first try Softer Than Brittle’s Pecan flavor. They all sound yummy! I would like to try the cashew Softer Than Brittle and I would eat it as an afternoon snack. I would try cashew first and I would eat it as soon as I got it. Well what took someone so long to make something like this. Eating the regular stuff is like eating glass and rocks together. Going to have to get this for my husband.